So, there is a reunion coming up in July that’s going to be held in Brisbane and after speaking with mum about it, there is a possibility of me heading down to it, along the way, if my convincing works, my sister and nephew would be finding their way to Australia as well for the weekend. That would mean that whatever vacation leaves left, I would be spending it on this trip. Why not right? Anything to get out of here. Cross-fingers, it’ll work out. 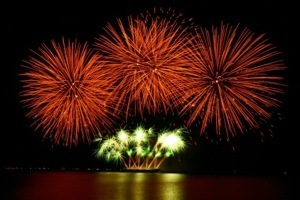 In other news, I attended the world pyro musical competition on Saturday night. My second since the first ever back on 200- (I can’t remember). I got to watch the fireworks, at the same time, took photos. Not to mention, eat a nice buffet meal. Something I probably wouldn’t do next year. So that experience is now off my list. Tonight, I felt hungry and whatever was in the fridge didn’t cut it and wanted to eat something I hadn’t tasted before. 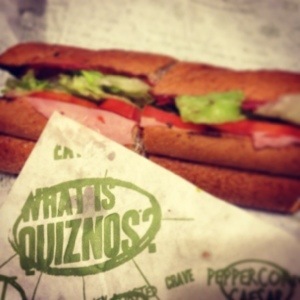 So suddenly I thought of having Quiznos. So I drove to The Fort and got me my fix. Their sandwiches are indeed huge! I also stopped by and got myself a tub of Mrs. Field’s flavored ice cream. Sat in front of my laptop and watched Life of Pi.